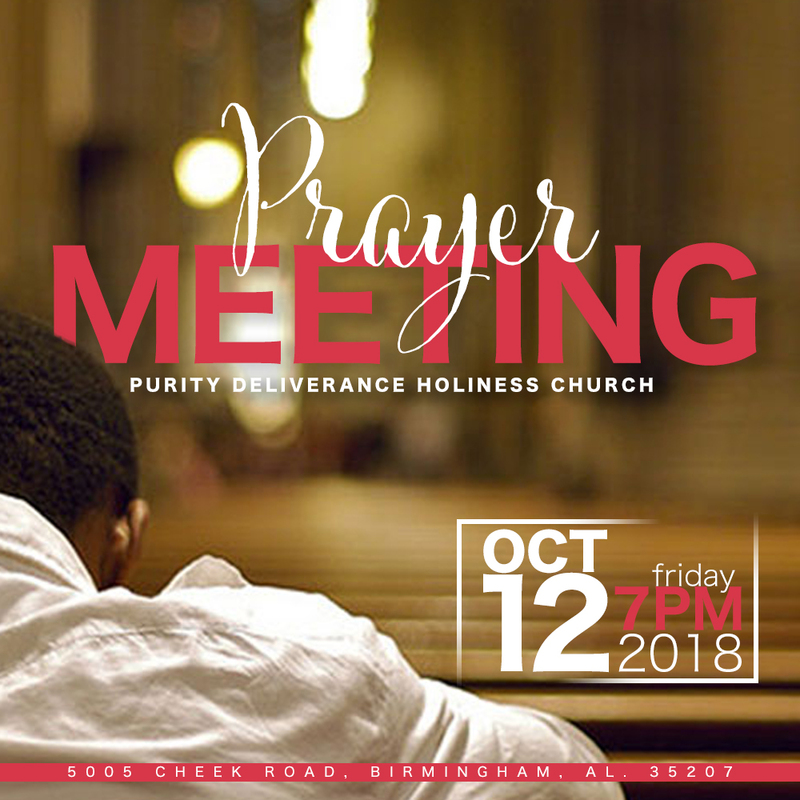 Join the Purity Deliverance Holiness Church for our PRAYER MEETING 2018. It will be an awesome time as we gather in the name of Jesus to pray at the altar. We will also be blessing handkerchiefs, water and blessed oil…please feel free to bring you’re own. Invite someone to come with you. We will see you on Friday, October 12, 2018 at 7pm.